It’s that time of year again! 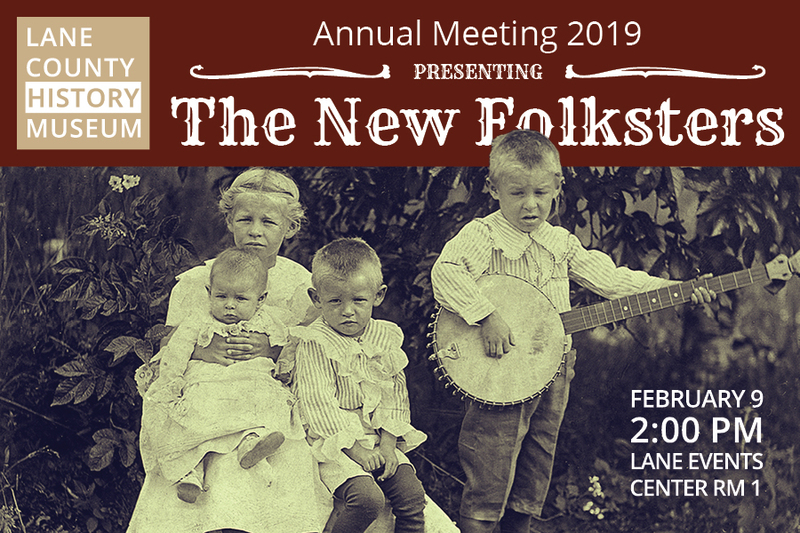 Lane County History Museum’s annual meeting returns, featuring The New Folksters: a group of folk singers from Eugene, Oregon, who combine wonderful harmony with hot instrumentals. Their performances include 60’s folk songs, contemporary folk tunes, rollicking jug band and ragtime ditties. The meeting also will cover the essential yearly business of the museum.